Similar to how previous storage solutions offered various Pokémon, such as Surfing Pichu in Pokémon Box and Mew in My Pokémon Ranch, Pokémon Bank provides distribution of Pokémon to you various games. You only get one of these Pokémon per Pokémon Bank save and, for Pokémon X & Y, are received via that game's Pokémon Link feature on the main screen. 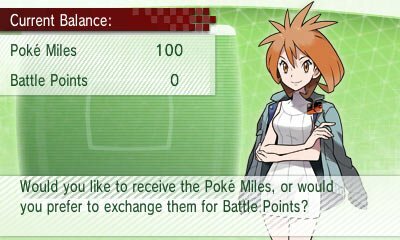 100 PokéMiles or 10 B.P. If you deposit Pokémon onto Pokémon Bank, or withdraw them, you will get access to this special Celebi. This can be done if you have paid for Pokémon Bank or if you are in the 30 day free trial. To get it, you need to have deposited Pokémon into Bank from X & Y. Next time you load the game up, Brigette will give you Celebi. If you access Pokémon Bank during the allotted time, you will gain access to all three of the fully evolved Johto Starters. Each of these have their Hidden Abilities and you get all three for each Pokémon Bank Account.Next time you load the game up, Brigette will give you the Pokémon. If you access Pokémon Bank during the allotted time, you will gain access to all three of the Regi Trio. Each of these have their Hidden Abilities and you get all three for each Pokémon Bank Account. 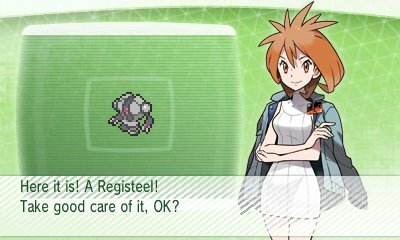 Next time you load the game up, Brigette will give you the Pokémon. If you access Pokémon Bank during the allotted time, you will gain access to the special Z-Crystal for the Mewnium Z, the special Z-Crystal for Mew that activates the move Genesis Supernova. If you access Pokémon Bank during the allotted time, you will gain access to the Alolan Starter Pokémon, each with their Hidden Abilities. If you access Pokémon Bank during the allotted time, you will gain access to the Pokémon Passimian & Oranguru, each with their Hidden Abilities.